Nestled in the lap of the majestic Himalayas, Spiti Valley is a mesmerizing tourist attraction of Himachal Pradesh Tourism. It is a place known for its sheer natural beauty, Buddhist monasteries and quaint villages. The beautiful Spiti River flows through the valley making it all the more enchanting. 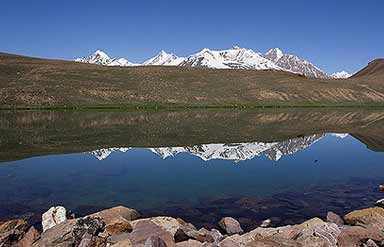 The term Spiti literally means ‘the middle country’. It is surrounded by Tibet, Ladakh, Kinnaur, Lahaul and Kulu. Its villages are peppered with fields where barley, buck-wheat, peas and some other vegetables are cultivated. Praising this fascinating destination Rudyard Kipling, a famous English author, said “it is a world within a world and a place where the Gods live”. And if you wish to experience snowfall then travel to Spiti Valley during the winter season as it receives heavy snowfall during the winter months. 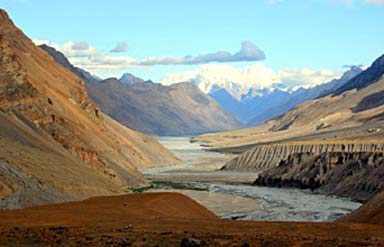 The perfect time to go for a Spiti Valley tour is from June to October. Spiti Valley boasts of a unique attraction called shale, (a rock of fissile or laminated structure formed by the consolidation of clay or argillaceous material). These shales have a major role to play in the field of geology. Shaligram, one of the shale formations found here, is the rarest one, and is believed to be auspicious. Tourists can indulge in amazing adventure activities at Spiti such as trekking, rock climbing, paragliding, river rafting and mountain climbing. Sarchu, Darcha, Jispa, Gemur, Tandi, Koksar, Sissu and Chota Dara are the picturesque and adventurous places in the valley. Occupying a prized place among Spiti attractions, Key monastery is a must visit destination. It is the largest and oldest monastery in Himachal Pradesh. It is decorated with beautiful sculptures. The monastery also provides religious training in dancing, singing and playing horns and pipes. It is popularly known as the ‘Ajanta of the Himalayas’. 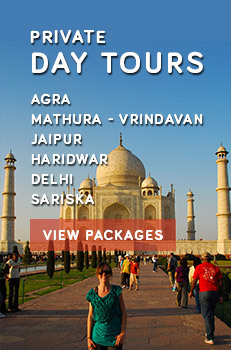 It is beautifully adorned with paintings, murals and sculptures. It is one of the oldest monasteries of Himachal Pradesh. Basic hotels and guest houses are available here. 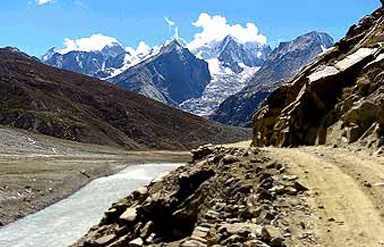 Spiti can be reached from Manali via Rohtang Pass to Kaza, the headquarters of Spiti. Manali is well connected by air, rail and road. Bus service from Manali to Spiti, from July to October, is also available. Spiti can also be reached from Shimla via Kinnaur. Shimla is well connected by air, rail and road. From Shimla buses run to Kaza from May to October.